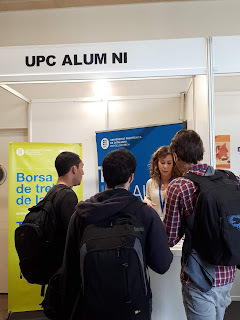 BSC-CNS is looking for young scientists from the national and international community who wish to do their PhD in a stimulating environment, rich in technological resources and campus life. We encourage applications from highly motivated engineers and computer scientists with outstanding qualifications. Successful candidates will join research groups with top-level scientists and will carry out their research in cutting-edge areas of Computer Sciences, Life Sciences, Earth Sciences and Computer Applications in Sciences and Engineering. The training programme will last 4 years to complete the PhD thesis. The grant will be renewable on a yearly basis and will last 2 + 2 years. Therefore the first two years will be covered by a fellowship, after which this initial period will be evaluated for renewal for a maximum of two more years through an employment contract. The grant will be 18,069 € gross per year during the first two years and 26,700 € gross per year during the following 2-year employment contract, will include the social security systems contributions during the 4 years.